This is my wife and I’s favorite. We have used this since the day we started taking surveys and it still keeps on giving money. I can’t complain about that. I know one who earned $40 in just 2 days plus potentially FREE products he owned. Let’s assume that’s $20/day or $620/mo. Imagine yourself making this money and getting all FREE products by spending only a couple of hours daily. If this person can do it, so can you. If you’ve given up on surveys, give yourself another chance because Ipsos won’t disappoint you. The only disappointment you’ll feel is that you didn’t use this site from the start. Ipsos I-Say is very straightforward. Just fill out the demographic questions truthfully to determine the surveys you will be qualified for and start taking surveys. That’s it. These provide a constant supply of surveys where there normally wouldn’t be. This is my go to whenever I’m lacking survey invitations from any panel in my email inbox. 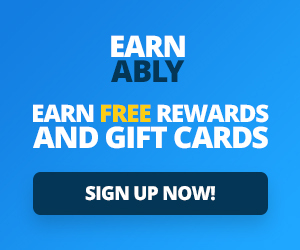 Branded Surveys will reward you with 200 points just for registering. The panel will usually compensate you with a small amount of consolation money for trying. Usually, around 5 points if you get screened out. This is a benefit as you won’t be wasting time on a survey for no money. You shouldn’t try to take advantage of this system. Some people will do this by deliberately screening themselves out of paid surveys. This is in the hope of getting the quick consolation points. They will then repeat the process over and over again. If you get caught out then Branded Surveys could be suspend or ban you from the panel. Also, they run a daily poll which rewards you with around 5 points for each answer. You will earn 25 bonus points if you complete a streak of 10 consecutive polls. The streak bonus encourages you to participate regularly which I do and I recommend you do the same. They will give you points for downloading or signing up to different brands on their offer wall. Some of these are free trials too so it could be worth your time. Make sure to check in regularly. It’s handy if you were planning on buying something on the offer wall anyway. I find it especially useful for grocery shopping. They have offers with supermarkets for when shopping for food. They go above and beyond with their referral programme. You will make 50 points when each of your referred friends completes their first paid survey. Survey Club helps people make at least $50 per survey for specific focus groups. A lot of people have done it, and you could do it, too. When you sign up, you are free to provide as much information as you want so you can get qualified for more surveys. I heard some get paid $50 for 15-minute surveys. Even better, some could make $115 for a 5-minute survey (see image below). That’s a lot of money for a couple of minutes. What I do like about this platform is that you can join several survey panels, which means you can get more surveys delivered to your email. 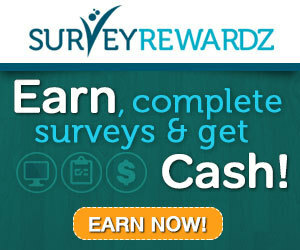 The more surveys you get, the better chance you can earn more money. Why is this different from any other survey sites and why we love it? What makes Survey Club unique is the sense of community. You become part of specific surveys with limited participants. You’ll feel you are in an exclusive club, which you are. These surveys are so exclusive that they value quality over quantity and are willing to pay out up to $50/survey. Or even more like in the case of food survey where people could earn $115 per survey. The exclusiveness and big payouts are the reasons that my wife and I love this survey site. It’s a needle in a haystack that puts itself in a different category in the survey site world. This survey site isn’t the best for big rewards. Although, to make up for that it offers quick, easy and fun surveys. You can complete these almost everyday. There usually aren’t any new surveys available during weekends though. The pay can range anywhere from 10p – 50p per survey. On the contrary, it may take you a while until you can withdraw. This is taking into account how low the survey rewards are and how high the payment threshold is but it is worth it. One small annoyance that I have picked up on with OnePoll are the occasions when you get timed out of paid surveys. This usually only happens if you stop completing a survey on a question and are inactive for a few minutes. If you leave it for too long then the survey will reset back to the beginning, losing all your progress. This is especially frustrating if it happens towards the end of a particularly long paid survey. The only way to really prevent this is to stay focused and complete the survey all in one sitting. This is such a minor flaw in reality. It doesn’t really take away from how great the rest of this survey panel is so don’t allow it to put you off. This is the best and highest paying survey site that I have discovered so far. It is consequently my favorite panel by a country mile. In summary, I love it! The generosity of this site is staggering in comparison to most other survey companies. Well, the vast majority of panels apart from Pinecone Research (which I mentioned previously). You will need to be over 16 and a citizen of the UK if you want to join. Surveys cover all sorts of social issues. Your opinions will go towards helping governments and other organisations. The media will also make use of your answers in the form of statistics. This could be in a newspaper or TV show. You can tell that many people trust this company as there are more than enough positive reviews around. There is even a testimonials section on the website. Survey rewards range from £1 – £5. Despite this, the only real downside is the fact that you only get a small handful of survey invites each month. It should take you 2-3 months to meet the minimum payout requirement.